Welcome to the beautiful city of Folsom, California, located in the foothills of the Sierra Nevada. 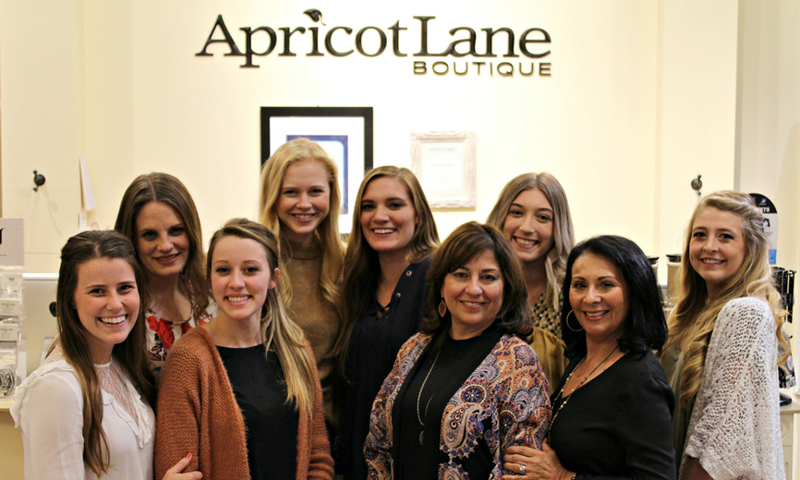 Apricot Lane Boutique is proud to be an important part of its business community, and prouder still to be more than just a women’s clothing store in Folsom. Our boutique is made up of caring, attentive, and fashion-forward women who strive to make your shopping experience an unforgettable one. Our management team has cultivated an environment that encourages women of all ages and walks of life to feel comfortable with their own unique style, an example every one of our friendly and knowledgeable staff follows. 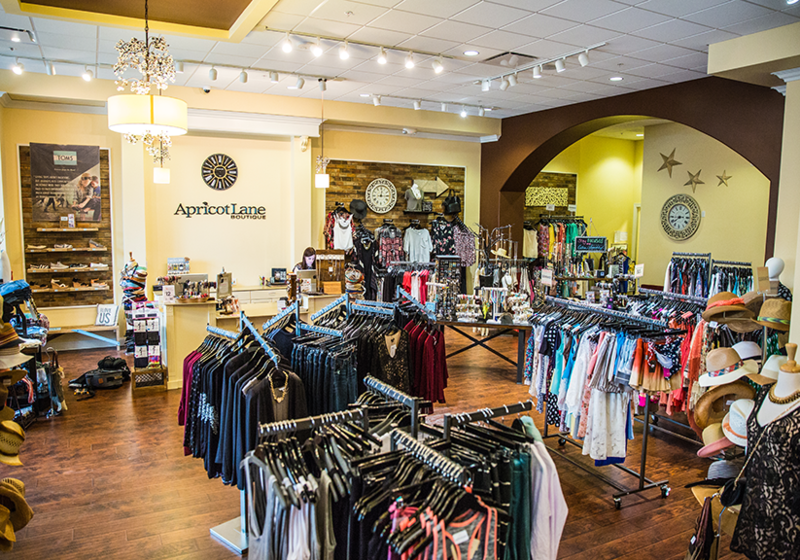 At Apricot Lane, we have a passion for fashion that inspires us to help women believe in themselves! We love to host fashion shows and in-store fashion parties to give busy women a chance to relax and see the latest in fashion trends. And we also have the privilege of getting involved in our community, by participating in local family events such as festivals and weekly concerts. It’s all part of our philosophy to be more than just a women’s clothing boutique in Folsom, CA. Fashion is about something that comes from within, as the common idiom goes. 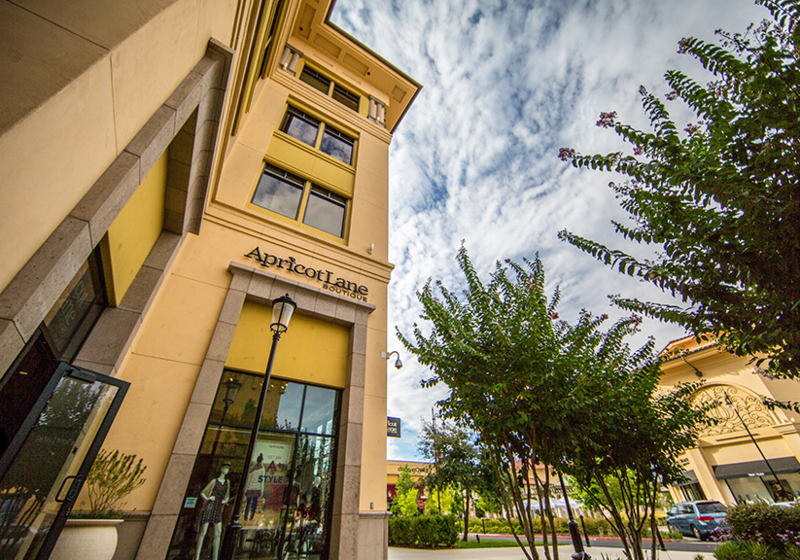 At Apricot Lane Folsom, it isn’t just about looking good in the clothes you wear --it’s about feeling confident in them as well. Our 75-plus fashionable, on-trend, and classic lines of clothing, accessories, and gifts allow a woman to express her unique sense of self and style. Our goal is to empower women through their fashion choices. Because we are an independently-owned-and-operated women’s clothing boutique in Folsom, we can curate our inventory to reflect you! Lines like CC Beanie, Dreamers, Hem and Thread, Lush, Vanilla Bay, and many, many more reflect our philosophy of offering something for everyone. And because we’re part of a larger family of locations, all under the respected Apricot Lane franchise brand, we have buying power! It allows us to offer you high-quality and affordable pieces every day, as part of an ever-changing inventory of items. It’s our goal to be your favorite and go-to women’s clothing store in Folsom. Stop by and be inspired today!